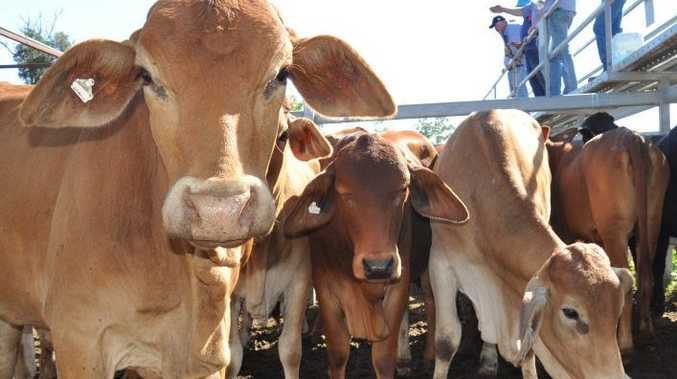 COMPUTERISED models of cattle could allow graziers to change their feeding programs and produce more valuable stock. Research presented to an industry forum at the Queensland University of Technology on Monday showed how a camera series placed in a crush could create a detailed 3D model of the beast and analyse its makeup for breeding and management purposes. A cattle crush is a device to hold an animal still for normal operations in the cattleyards. University of Technology Sydney robotics researcher Dr Alen Alempijevic said the "objective trait management technology" was designed to predict an animal's body composition and growth and allow farmers to react to that. "There is a paradigm shift to pay producers not based upon purely weight of animals but on meat quality," he said. "Currently losses due to not meeting these demands could be up to $10 in sheep and up to $80 a head in cattle which is a significant amount. "There is a way to address this and it would require farmers to estimate the traits of animals during the production process on farm. You could alter the feed and therefore affect the end yield of animals." From the 3D model a program identified areas of fat and muscle in a similar way to a trained cattle assessor. He said the technology could be used to adjust feeding programs or identify whether animals were ideal for breeding. Speaking at the Australian Technology Network of Universities forum in Brisbane, Dr Alempijevic said the technology was an example of cross-industry collaboration that could lead to major breakthroughs. "There's truly some leaps and bounds to be made in projects of a cross-disciplinary nature where researchers from vastly different fields that might not overlap can meet and produce such outcomes," he said.